It is a story about Tisdale's youth getting a chance to get rides in private planes in the area. The top picture is of my son Tyler Ratushniak, as is the third picture. Thanks to the Young Eagles program Tyler fell in love with flying, joined the Air Cadets, and obtained his glider license. Tyler has since graduated from High School, and is now working on his Private Pilots license through Millennium Aviation in Saskatoon. 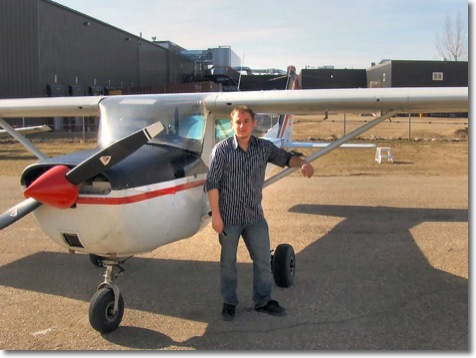 On April 19th, almost six years to day, after his flight with the Young Eagles, Tyler completed his first solo flight in a Cessna 152 similar to the one featured in your article. Once again thanks to the Young Eagle program, and dedicated pilots who share their love of flying with young people. It is because of this introductory flight my son now has that same passion for flying.